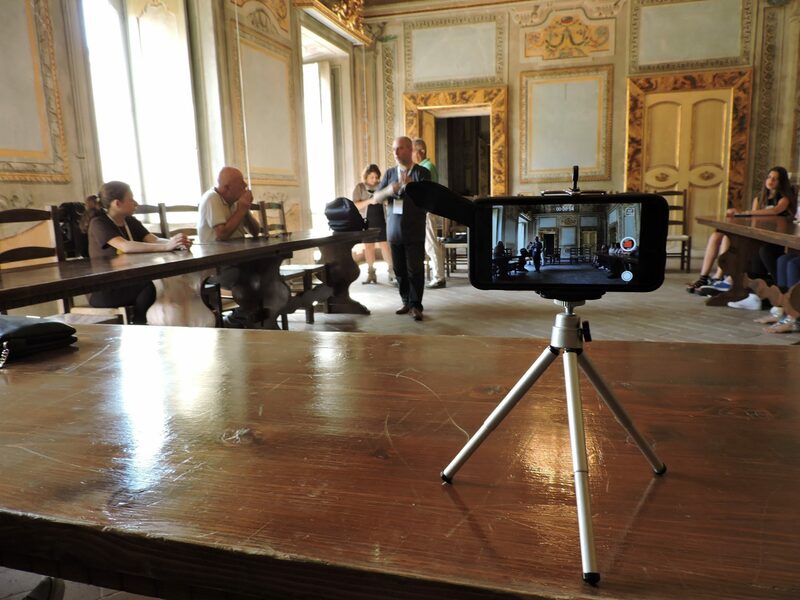 The course aims at providing the theoretical expertise, operating methods and innovative design tools for digital enhancement of heritage, as well as events of art and tangible and intangible culture. The course is open to all those interested in improving the educational experience of young or adult students in the cultural, environmental and artistic field. The educational activities are set so as to always have four points of view: the scenery/context, the protagonist’s point of view (the engine of project activities), the challenger character’s perspective (someone who acts to modify or block the path of the project), the dialectical relationship between the protagonist and the challenger. DAY 1 Welcome, getting to know each other, meeting with the members and users of the hosting organization, introduction to tangible and intangible cultural heritage. DAY 2 Technologies and enabling technological systems: augmented reality, virtual reality, holograms, etc. DAY 3 The digital Monument, how to involve the target group and the community. DAY 4 Exploring the territory for hidden cultural treasures. DAY 5 Project management, the theory of change in cultural initiatives. DAY 8 Emotional, value and cultural journalism. DAY 9 Co-creation of the subject, characters and plot of the stories. DAY 10 Project work: development of a story in augmented reality for the hosting organization. DAY 11 Preserving and valorizing the cultural heritage in the digital era, how to get funds from the European Union. Presentation of financing programmes and case studies. Farewell party. The participants will work together to design, co-create and present museatrical (museum+theatrical) representations of local heritage and traditions, developing theoretical and practical competences in the field of enhancement of the tangible and intangible cultural heritage through digital story-telling techniques, creation and sharing of open data, video-editing and graphic development, webmarketing and dramatic narration.